With a high 96.77% first time USMLE Step 1 pass rate, Saint James is one of the few medical schools in the Caribbean to offer a top quality MD program at an affordable price. Starting at 5,950 USD, we offer the lowest tuition amongst all accredited medical schools. Moreover, Saint James is also the first Caribbean medical school to provide a USMLE Step 1 Pass Guarantee. When you graduate, you can become a doctor in the US and Canada, and begin your medical career with less debt. Covering the Basic and Clinical Sciences, our 10-semester MD program takes you through Step 1 and Step 2 of USMLE, all the way to your graduation with your Doctor of Medicine (MD) degree. You will have the unique learning experience of studying the Basic Sciences at one of our two Caribbean medical school campuses, Saint James Anguilla or Saint James St Vincent. American University of Antigua (AUA) College of Medicine was established with the US medical educational model in mind. Our rigorous curriculum prepares students to become compassionate, knowledgeable, highly-competent physicians by providing them with early hands-on clinical training and opportunities to hone their professional skills. Our curriculum, especially the Homeroom Concept, focuses on making medical education more personalized, keeping classes small, and creating academic partnerships between students and faculty that force them to challenge and support each other. The MD program consists of two components: Basic Sciences and Clinical Sciences. Basic Sciences courses are taught at AUA’s high-tech campus in Antigua. Courses follow a two-semester schedule. 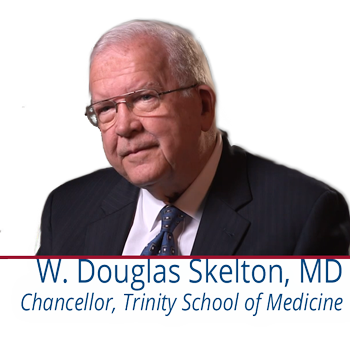 AUA’s distinguished faculty is available to mentor students on the foundations of medicine. Students are provided with immersive, preclinical training at the on-campus simulation center and at Mount St. John’s Medical Centre, one of the most advanced hospitals in the Caribbean. This early exposure to clinical situations allows students to excel in their rotations during their clinical years. Clinical Sciences courses are taught at AUA-affiliated teaching hospitals throughout the United States, Canada, and India. Here, students apply the knowledge they learned during Basic Sciences to real-life situations. Students participate in a set of core rotations and choose their electives from a diverse selection of rotations, which are designed to mold students into well-rounded doctors. Understanding that innovation creates sustainable change, IUHS is not a traditional brick and mortar school. The University invests in its students not in large capital-intensive infrastructure. Think of it as medical school 3.0. IUHS uses technological innovation and is on the forefront of the new knowledge about how people learn. The University uses “Active Learning” and problem based cases to contextualize medical science learning in clinical settings and increase comprehension and retention. Active Learning puts students and their learning needs at the center of the experience; it stands in contrast to “standard” modes of instruction in which teachers do most of the talking and students are passive. A growing body of research has made it clear that the overall quality of teaching and learning is improved when students have ample opportunities to clarify, question, apply, and consolidate new knowledge. As a result, the role of the lecture has dramatically changed. At IUHS the lecture is not abandoned but instructors create opportunities for students to engage new material, serving as guides to help them understand and apply information. In 2008, the Cave Hill Campus upgraded and expanded its 40-year-old clinical programme in the School of Clinical Medicine and Research to full faculty status incorporating a 3-year Phase 1 programme. Over the years, postgraduate programmes in a wide range of medical specialties have also been developed at all campuses. The Cave Hill Campus has strong programmes in clinical specialties, leading to the DM in hospital-based specialties as well as the Diploma, Masters and DM in Family Medicine. The Masters in Public Health was initiated in 2008, and most recently, a PhD in Public Health. The Faculty of Medical Sciences thus continues to play a vital role in the training of healthcare professionals for the entire region, particularly doctors, and at all levels, from undergraduate through postgraduate to continuing medical education. The Central America Health Sciences University (CAHSU), Belize Medical College was founded in 1996. The University is located in Belize City, Belize. Previously known as British Honduras, Belize lies on the east coast of Central America in the heart of the Caribbean Basin. The country borders Mexico to the north, Guatemala to the west and south, and is flanked by the Caribbean Sea to the east. Belize offers beaches and a semi tropical climate. It is a small, politically stable Commonwealth country with English as its official language. The University’s location in Belize City allows easy access to the United States, Central and South America and Mexico. On completion of the programs in the basic sciences, students are provided with the opportunity to apply their academic knowledge in the clinical setting by rotating through the various medical disciplines at the University’s affiliated hospitals, located in the United States Of America, the United Kingdom, Mexico and Belize. The University is chartered by the Government of Belize and is approved by the Ministry of Education in Belize. The Central America Health Sciences University is listed in the World Directory of Medical Schools, published by the World Health Organization (WHO) in Geneva, Switzerland. The University is recognized by the Educational Commission on Foreign Medical Graduates (ECFMG) for students to sit for the USMLE and to facilitate admission into a residency program in the United States. It is also recognized by the General Medical Council (GMC) of the United Kingdom to allow students to sit on the Professional Linguistic Assessment Board (PLAB) and to facilitate admission into a residency program in the United Kingdom. You’ll spend five semesters (20 months) studying the Basic Sciences at one of our two Caribbean medical school campuses, Saint James Anguilla or Saint James St Vincent. Our safe, friendly campuses offer you a positive learning environment and a close supportive community with one-on-one tutoring, mentoring, opportunities for peer-led learning, student clubs, and activities. We want to make sure you have the best chance for success in Saint James Medical School. Find out about our USMLE Step 1 Pass Guarantee. Study your Clinical Sciences over five semesters (80 weeks) at affiliated hospitals and clinical facilities in the US. We have partnerships with teaching hospitals in Chicago. Clinical training at Saint James School of Medicine is divided into 48 weeks of core clerkships and 32 weeks of elective clinical rotations. Start your medical studies at Saint James School of Medicine in January, May, or September. We do not require the MCAT. If you’d like to apply, it only takes five minutes to complete your application form online. Your admissions advisor will then support you through the application process. St. Matthew’s University School of Medicine offers students a medical education that is completely focused on the success of our students. The result is a proven quality education. Pass Rates: During the four years from January 1, 2014, through December 31, 2017, SMU students had a 97% first-time pass rate on Step 1 of the U.S. Medical Licensing Examination. Curriculum: Groundbreaking U.S. Medical Licensing Examination review course, coupled with comprehensive USMLE preparation integrated throughout the curriculum. Avalon University School of Medicine (AUSOM) was founded in 2003 and is chartered by the government of Curacao. 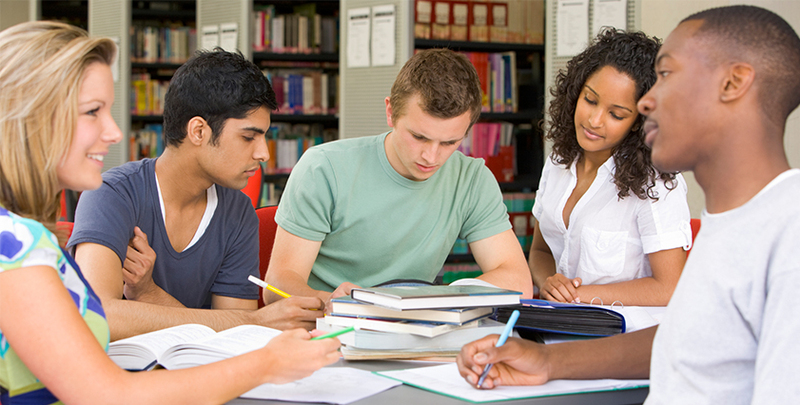 AUSOM has an academic team and curriculum which focuses on the success of its student body. While the emphasis is on student academic success, the administration also focuses on students’ personal needs to make sure both students and parents are comfortable and at ease. AUSOM’s faculty consists of professors who are qualified doctors with a great experience and knowledge of the basic sciences and medical practice, which makes them an integral part of the success of AUSOM graduates. The island of Curacao is one of the most developed and modern islands in the Caribbean, which allows AUSOM to conduct the medical program in an up-to-date and friendly environment. As a Caribbean medical school, our goal is to make sure that all students obtain a sufficient level of medical knowledge to understand the basic facts, concepts, and principles essential to successful medical practice. Avalon University School of Medicine takes great pride in making sure all students are pointed in the right direction to succeed. With our designed small class sizes being an average of only 30 students per class, this attractive student-to-teacher ratio offers students the experience of individualized attention in our intensive medical school program. Our faculty members are dedicated to providing the leadership needed for a healthy and exciting learning environment. Our goal is for all students to be molded into well-rounded physicians who exhibit the compassion, integrity, and honesty essential for medical practice. All Saints University School of Medicine offers six types of programs; Bachelors of Science (Nursing), Bachelors of Science (Life Sciences), the Five Year MD Degree Program, the Four Year MD Degree Program, PhD in Life Sciences (Microbiology), and PhD in Life Sciences (Immunology). The five year MD program is designed for high school graduates intending to obtain an MD Degree. This program includes 4 semesters of premedical courses, including those listed above. Upon successful completion of 4 semesters of premedical courses, students are automatically allowed to complete the Basic Medical Science (preclinical) portion of the degree program with their counterparts in the 4-Year MD degree program. Our team of 300 Basic Sciences faculty members is located on the True Blue campus in Grenada and is dedicated to your success. Of our eligible 2017 US graduates who applied for a US postgraduate position, 93 percent obtained one at the time of graduation. SGU students who took the USMLE 1 for the first time in 2017 achieved a 95 percent pass rate. AAIMS offers a wide variety of programs for persons interested in pursuing a career in medicine. Students are accepted at the beginning of the January, May and September Semesters. AAIMS offers a 4 semester (16 month) Pre Med program for High School graduates to fulfill requisites for entering into MD program. Once students complete the program successfully, they are transferred to AAIMS 4 year MD program. Students are awarded “Associate Degree in Health Sciences” after graduating from Pre Med program and Doctor of Medicine (MD) degree after graduating from 4 year MD program. This track is ideal for highly motivated graduating High School students who are committed to study medicine and are ready to begin their medical studies immediately after completing high school. It is also the path for non-traditional students who need to complete prerequisite courses before being accepted to the AAIMS MD program. Our prestigious, accredited University, USAT, was established and licensed in September 2003 by the Government of Montserrat, a British Overseas Territory and became International Medical Education Directory (IMED) listed the same year. We are now among the fastest growing schools in the Caribbean Community (CARICOM) and possess the largest Healthcare Professional (HCP) to Medical Doctor (MD) bridge program. We are located on the beautiful, friendly, and unspoiled Island of Montserrat, in the heart of the Caribbean. Our educational philosophy is founded on well-established traditional, and “time-honored”, academic pursuits. Each carefully designed course is taught by experienced Professors and Clinicians, having long-standing academic and professional expertise. USAT is included in the International Medical Education Directory (the ‘IMED list’) in the USA, CAPER (CANADA) and WDOMS. Accordingly, students and graduates of the University may apply for and sit for all components of the US Licensing Examinations (USMLE, Steps I, II, and III). USAT students and graduates qualify for and take the same examinations as graduates of traditional US Medical Schools, are graded using the same criterion, and may apply for the same Post Graduate Training opportunities as graduates of traditional US medical schools. USAT has also been favorably reviewed by UNESCO and by the ISO 9001/2002 committee in Europe. Graduates are qualified to make application for the USA Medical Licensing Examination. Graduates are qualified to make application to residency training programs in the USA & Abroad. *2013 Data Average 2009-2013 Class Years Average percent of qualified applicants selected through ERAS/NRMP/Outside match since 2004. In 2008, 2013, 2014 match rate was 100% of those fully qualified as of 15 September of the respective year when applied. Saba University School of Medicine was founded in 1992 with a bold mission: to establish an international alternative to U.S. and Canadian medical schools that would not only provide an excellent medical education and expansive career opportunities but also maintain an affordable tuition. More than 25 years and 2,500+ successful graduates later, we’re proud to say that Saba University has lived up to that mission. At AUIS, the Basic Sciences are the cornerstone to your success. The initial two years of the MD program focus on the traditional basic science disciplines. Laboratory, clinic and community outreach experience via participation in health community projects is a primary part of these first two years. Along with that, we include small, focused group discussions designed for problem-based learning and early assimilation of the Basic Medical Sciences into the clinical experience. Formal studies are supplemented with hands-on clinical training at the local Barbados Hospital, permitting an extension of the classroom to the real-world and exposing students to applied clinical settings. The Clinical Medicine Program is a stimulating and enriching feature of medical training at AUIS, requiring both resolve and perseverance. The Clinical Medicine staff works personally with students to ensure they fully benefit from clinical rotations and go on to attain rewarding residency positions. During the Clinical Years, we stress maturity, responsibility, and compassion as important characteristics in the development of professional excellence. Students are expected to learn how to conduct themselves in the role of the physician and are judged on their ability to take initiative, relate to and work harmoniously with professional colleagues, exhibit maturity in conduct on the wards, and demonstrate the demeanor of a mature and qualified physician. The Clinical Medicine curriculum, which follows the Basic Sciences Program, consists of 48 weeks of core clinical rotations and 32 weeks of elective clinical rotations. Students practice clinical skills through patient contact, which is supervised by a preceptor in an inpatient or outpatient care setting. The Clinical Curriculum strives to enhance students’ proficiency in taking medical histories, conducting physical diagnostic examinations, and developing doctor-patient relationship skills, thereby enabling students to become competent, compassionate physicians. Students eligible for clinical rotations have clinical sites available to them in over 60 hospitals, healthcare facilities, and clinics across nearly 20 states (e.g., NY, CT, GA, IL, LA, MD, DC). Many of our clerkships have ACGME (“Green Book”) listed or affiliated programs on site. Students who have earned their MD degree and certification through ECFMG have had great success in gaining entrance into a residency training program. The IUHS School of Medicine program is a new paradigm of pedagogy best suited for training physicians in the 21st century. IUHS combines online lectures (Blackboard), integrated practicals (Integrated Clinical Medicine), moderated study groups (Virtual Library portal) and customized gap assessment of content knowledge and retention (Academic Enhancement) to prepare students to deliver the best healthcare that is appropriate within the social and cultural contexts they will practice. Overall student activity for the 4 years breaks down as follows: 12% Interactive lectures, 67% Clinical immersion, and 21% Customized academic enhancement. AUC’s curriculum blends rigorous classroom study, simulation exercises, and community service. As an AUC student, you will begin your journey to become a physician on our technologically advanced campus in St. Maarten, a collegial academic environment that emphasizes collaboration and community. Here, you’ll work closely with medical school faculty and peers to engage in a concentrated study of the medical sciences over five semesters. The goal of our curriculum is to help you become an adaptive expert with a mastery of medical concepts and the capacity to use this knowledge to guide diagnosis and treatment of patients. Therefore, AUC students gain clinical exposure early, and it increases each semester until it is the complete emphasis of the fifth semester. During your time here, you’ll leverage advanced technology to enhance your medical school experience, such as our high-tech simulation center and anatomy lab. After completing the medical sciences portion of the curriculum, AUC students move on to years three and four in clinical rotations in the United States and/or the United Kingdom at AUC-affiliated teaching hospitals. Trinity School of Medicine students are inspired by science and committed to service. A common characteristic among Trinity students is the altruistic desire to bring healthcare to communities in need. Trinity SOM is happy to harness and nurture that trait to drive quality learning and provide greater global access to care. Our students researched the other Caribbean medical schools and ultimately chose Trinity for its collaborative environment, personal approach to education and the success of our graduates in earning competitive residency placements. Studying abroad in St. Vincent for the first half of the MD program affords our students the opportunity to do, see, and learn in settings they wouldn’t have access to elsewhere. Coupled with two years of clinical training in U.S. hospitals, our students graduate as compassionate physicians with the knowledge and skills to compete for their Residency of choice.